For the second time in recent months, the popular budget motel chain Motel 6 finds itself on the defensive after a federal lawsuit filed in Phoenix, Arizona, accused the chain of volunteering guests’ personal information to U.S. Immigration and Customs Enforcement (ICE) agents, leading to the detention and deportation of guests. The lawsuit was filed earlier this year on behalf of the Mexican American Legal Defense and Educational Fund. It involves a proposed class action against several Motel 6 establishments in Phoenix and alleges that the motels contributed to ICE arresting—and, in one case, ultimately deporting—guests without a warrant, probable cause, or reasonable suspicion of a crime. Eight Latino guests at various Motel 6 locations were arrested by ICE agents the morning after checking in to their rooms with Mexican identification documents. In one instance, a guest was detained after booking a room for her family to escape the heat because their apartment lacked air conditioning. In another instance, a guest was detained after checking in to a Motel 6 to attend a court hearing for his wife. The lawsuit alleges that Motel 6 engaged in a systemic practice of discriminating against Latino guests based on their race and national origin and deprived them of equal protection under the law. The lawsuit also accuses Motel 6 of violating guests’ right to be free from unreasonable searches and seizures under the Fourth Amendment to the U.S. Constitution. This is not the first time Motel 6 has found itself in the news for cooperating with federal immigration officers a little too enthusiastically. The Phoenix lawsuit comes on the heels of a similar lawsuit filed by Washington Attorney General Bob Ferguson earlier in January. The Washington lawsuit accuses Motel 6 locations in that state of disclosing guest lists and guests’ personal information such as drivers license, room, and license plate numbers to facilitate ICE arrests. Both lawsuits allege that Motel 6 had an agreement with the U.S. Department of Homeland Security and ICE in which the chain encouraged hotel employees to act for the benefit of law enforcement. According to the plaintiffs, Motel 6 granted ICE agents access to gated and nonpublic areas to facilitate the interrogation, detention, and arrest of guests without warrants. A few months before the lawsuits were filed, the Phoenix New Times broke the news that employees at two Motel 6 establishments in predominately Hispanic neighborhoods in the Phoenix area may have tipped off ICE agents and facilitated the arrests of guests for pecuniary gain. Motel 6 immediately responded by issuing a directive to its 1,400 motels nationwide prohibiting voluntary disclosures to ICE agents. Although Motel 6 may have temporarily quelled public outcry, its legal battles have just begun. Sanctuary cities have ordinances or other laws specifically limiting the scope of cooperation between local law enforcement and federal immigration authorities, either by prohibiting cooperation with ICE on certain investigative or detention matters or by withholding funds related to those matters. With more than 150 sanctuary counties nationwide, including 19 counties with sanctuary cities in Washington and two sanctuary counties in Texas, establishment owners may wonder whether cooperating with federal immigration officers may expose them to lawsuits like those filed against Motel 6. As issues surrounding sanctuary cities continue to be embroiled in public policy debates and legal challenges, establishment owners are often caught between facing lawsuits for appearing to do too much and risking penalties for failing to do enough. For example, in Texas, many hotel owners may inadvertently comply with ICE detainer orders by authorizing ICE to interrogate or detain individuals on their premises. However, although the U.S. 5th Circuit Court of Appeals (which covers Louisiana, Mississippi, and Texas) recently issued a decision permitting Texas Senate Bill 4 to mandate law enforcement agency cooperation with existing ICE detainer practice and law, hotels are not “law enforcement agencies” subject to detainer requests. Therefore, a hotel is not required to lend its premises for immigration purposes. Further, establishment owners have no obligation to volunteer private guest information to federal immigration officers without a warrant. In fact, doing so may be discriminatory and illegal. In City of Los Angeles v. Patel, the U.S. Supreme Court held that a Los Angeles law that compelled hotel operators to collect certain personal information about guests and to provide the information to police on demand was unconstitutional. In holding that the statute failed to give hotel owners an opportunity for “precompliance judicial review,” the Court found the municipal code could authorize searches that exceeded their statutory limits and could provide a pretext (excuse) for police to harass hotel operators and guests. In addition, on January 18, 2018, California’s attorney general warned that business owners could face a fine of up to $10,000 if they illegally share information about employees with federal immigration officials. In addition to safeguarding guests’ private information, management must be vigilant in giving franchise owners discretion over implementing policies that allow unscrupulous employees to seek pecuniary gain from illegal tips and disclosures as several Motel 6 employees allegedly did last year. Adopt policies that set out clear company practices in responding to law enforcement requests. The policies should be uniformly adopted across all franchises and aim to safeguard the privacy interests of guests to the extent permissible by law. 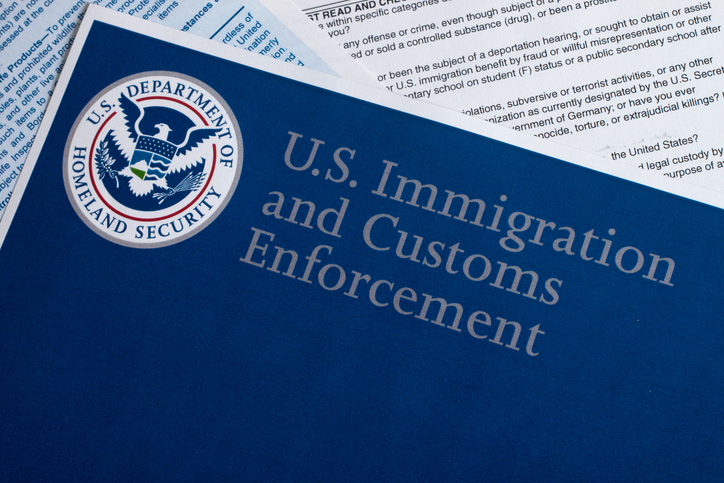 At the end of the day, immigration law issues are highly fluid and specialized, and the lines between satisfactory compliance and good business practices are often blurred by pitfalls and heavy penalties on each side. When implementing best practices or responding to an ICE visit, consider consulting an attorney. Jacob M. Monty–the managing partner of Monty & Ramirez, LLP and editor of Texas Employment Law Letter–practices at the intersection of immigration and labor law. He can be reached at jmonty@montyramirezlaw.com. The post Releasing Information to ICE Can Land You in Hot Water—Just Ask Motel 6 appeared first on HR Daily Advisor.